You’ll know by now that I do love a good trip to Lush. My favourite things to buy in Lush are their bubble bars. They’re really cost effective compared to the bath ballistics because you can use them several times, they create lots of bubbles which the bath ballistics don’t and they still turn your bath water a gorgeous colour. Whats not to love? 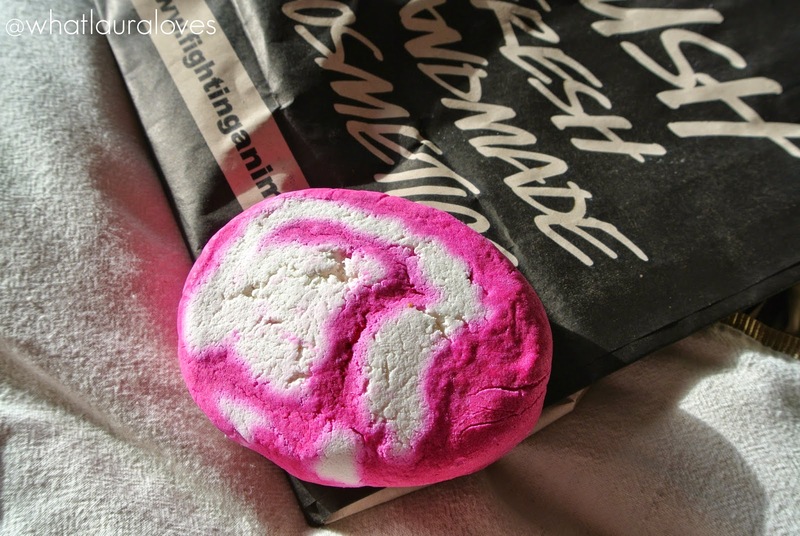 The Lush product that I’m using at the moment is The Comforter which is one of the biggest bubble bars that Lush sell. In a normal sized bath, I reckon you could easily get 5 baths out of this guy whereas in our 2 person jacuzzi tub, I get 3 to 4 depending on how generous I am with my chunk cutting! The Comforter crumbles with ease under warm running water and fills your bath with bubbles. 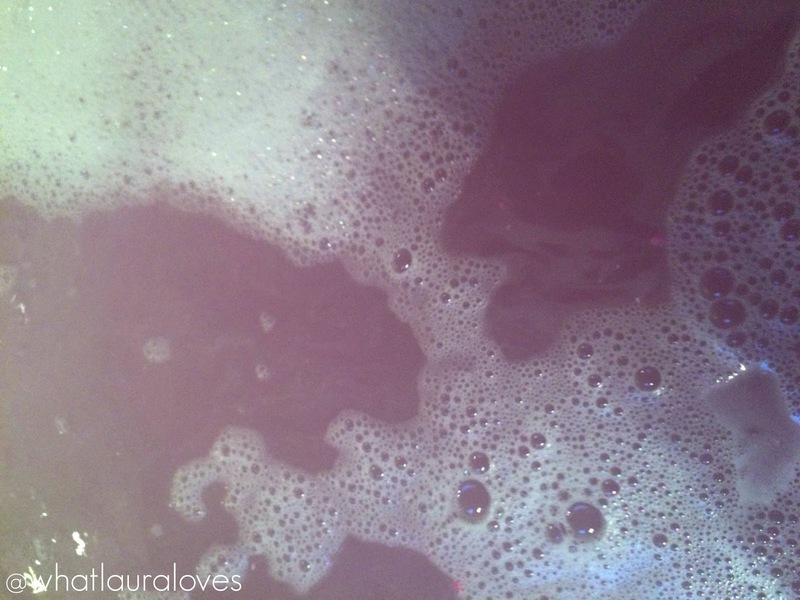 It turns the water a gorgeous pink colour and fills the room with the a beautiful berry scent. This bubble bar contains uplifting and cleansing bergamot oil, comforting and fruity cassis absolute which gives it the amazing scent and calming and toning cypress oil. It leaves the skin feeling soft, supple and smelling great. 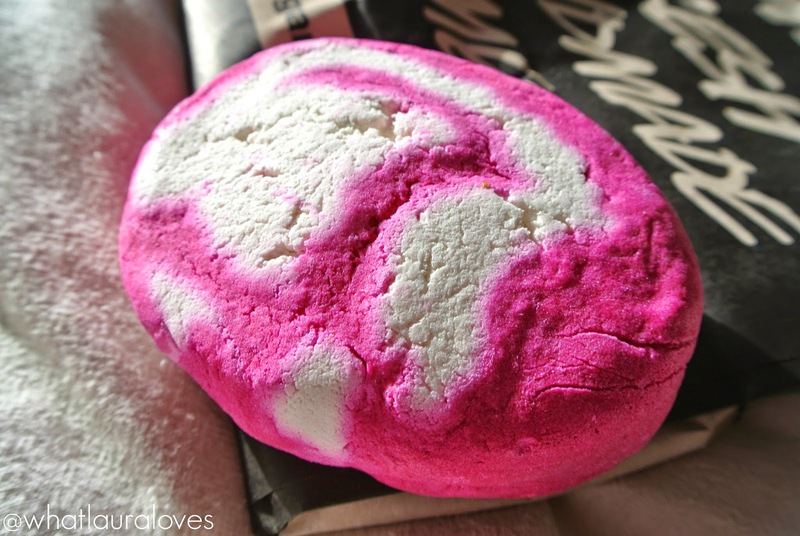 It is definitely one of my faves from Lush! The Comforter is available to buy here. I really miss not living near a lush store and being able to just walk in and make a purchase. I love this bar because as you say you get a lot of baths out of one bar compared to some of the smaller ones. I just bought the Comforter in the shower gel. It's easily one of my favourite scents they do.